ONE of the most common forms of property investments is property leasing, a source of income that dates back many centuries. Due to its long-term yet stable mode of income, the rent that a property owner receives every month could mitigate or even offset the monthly instalment on the mortgage for the property partly or in whole. Hence, leasing out a property is a good strategy for owners to gain some returns on their investment while waiting for the property’s value to appreciate in future. This is particularly true for Low who purchased a 2-bedroom apartment unit in Arena Green, Bukit Jalil for investment over 15 years ago. The unit was priced around RM100,000 or RM137 psf when the 54-year-old, who only wants to be known as Low, bought it from developer Berjaya Land Bhd. “I don’t know much about investing. At that time, I was just accompanying a friend of mine to buy a unit there. Then I was attracted by the design and facilities, so it was somewhat of a coincidence that I bought this unit for investment,” she tells EdgeProp.my. She then leased out the entire apartment, which has a built-up of about 730 sq ft, for a monthly rent ranging from RM600 to RM1,400 over the years to different tenants. “I appointed an estate agent to handle everything for me, so I don’t have to worry about it,” she adds. Although she still needs to pay for the maintenance fees, quit rent, assessment and the cost to repair or replace appliances that came with the apartment, Low was able to pay off the housing loan for the apartment with the rental income she received in 15 years as the monthly instalment was only about RM600. “I’m glad that it turned out to be a good investment. I heard from the agent that the apartment has a market value of some RM300,000 today, which translates into a capital gain of 200%,” she says. The available listings on EdgeProp.my showed that the average asking price for an apartment in Arena Green was RM377,205 or RM457 psf, while the average monthly asking rental was RM1,305 or RM1.54 psf as of Dec 6. A transaction in the first quarter of 2017 recorded RM355,000 or RM402 psf. 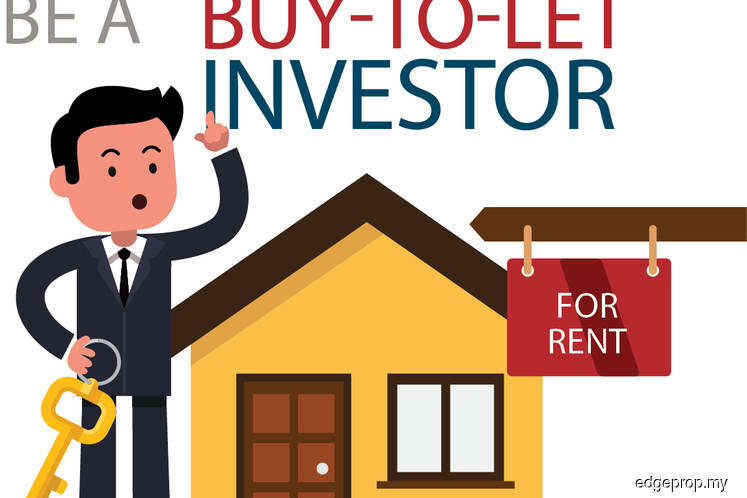 With the recent announcement of a 50% tax exemption on rental income in Budget 2018 and the proposed formulation of a Residential Rental Act, these success stories may well encourage you to consider adopting a buy-to-let investment strategy. But before you jump into it, let’s take a step back and take a look at the big picture and see if a rental investment is suitable for you. 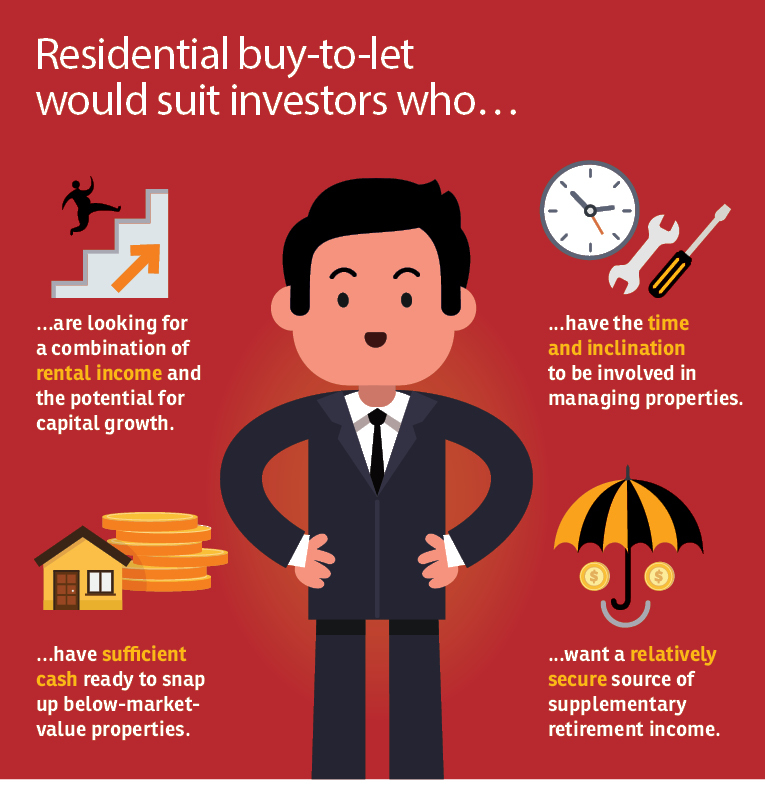 The definition of a residential buy-to-let is quite simple — you buy a house and then rent it out to gain rental income before you sell it off or not, to reap the capital gain. From this approach, there are two forms of possible income — rental income and capital growth. However, the actual returns will vary depending on the type of property, location, market conditions and tenant’s profile. 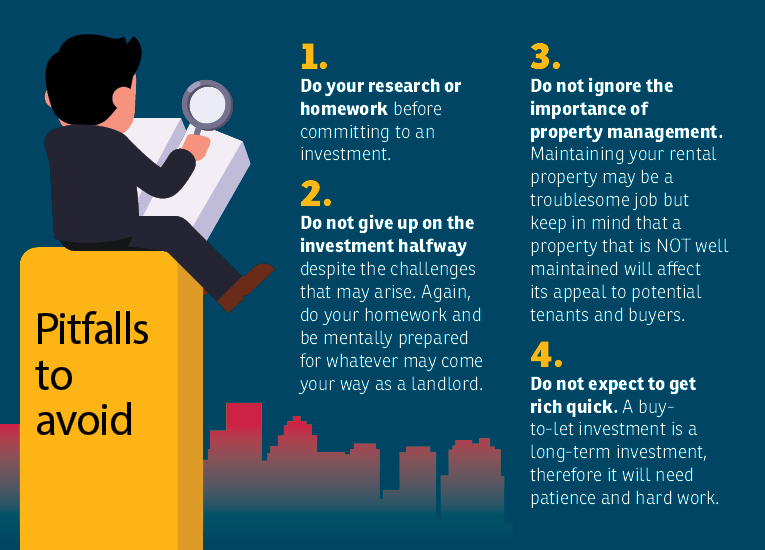 “If done right, buy-to-let is a very safe and simple strategy that is able to offer a stable rental income while waiting for capital values of the property to go up,” says property investment and investment education firm CORE Investors Sdn Bhd founder and director Rachel Lim. “You will be able to reap a harvest if you manage to keep a property long enough. But of course you have to manage the upkeep of your property throughout the period to avoid deterioration of the property value,” she adds. As the landlord and property owner, unless you appoint an estate agent, you will need to address issues that may arise from the property or the tenants such as repairs or replacement of broken items in the unit, recover damages on the property, and claiming back defaults on rental payment, among others. To protect both landlord and tenant, there has to be a tenancy agreement that lists down all the terms and conditions, details of the landlord and tenant, the tenancy period, the rental rate, the fixtures and fittings in the unit and others. Where to find a good rental property? Whether the property that you are letting out is a worthy investment or not depends on the rental returns. Generally, according to Lim, the gross rental yield for a landed home in the Klang Valley ranges between 2% and 4%, while a non-landed residence will range from 4% to 6%. An excellent rental property is able to offer at least 8% gross yield, she adds. “A property that can provide an equal or more than 8% of gross returns is a worthy investment, because around six percentage points of the gross returns will go to monthly instalment, quit rent, assessment and other costs. Hence, your net yield is actually only 2%. “Although it is difficult to find properties that offer such high yields in the current market, it doesn’t mean they don’t exist. So you have to be very committed and sometimes this means that you have to screen through 95% of the listings in the market to get a gem,” says Lim. The secondary and auction markets are good places to hunt for a good property for buy-to-let investments as buyers can be more certain of the condition of the property, the prices and rental rates in the neighbourhood and the residents’ or tenants’ profile in the area. On top of that, investors can also purchase a property that already have tenants and so are able to generate immediate returns. “Buying an existing property means you can take immediate action after acquiring the property, including renovations if needed and furnishing the place and making it ready to be let out. 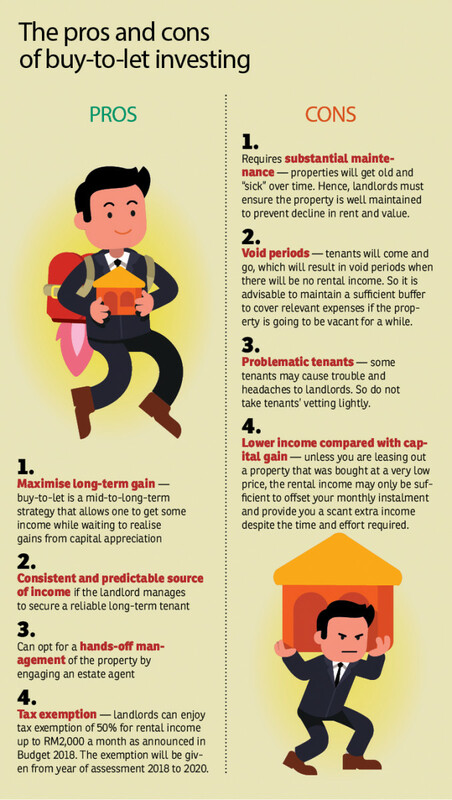 One can generate rental income in a rather short period. “Also look for desperate sellers who would sell their property at a lower price, or consider buying a non-landed unit of below RM300,000 and add value to it to boost rental returns,” she offers. Meanwhile, property education and investment company Skybridge International Sdn Bhd CEO Adrian Un says low-rise walk-up flats and apartments tagged from RM300,000 to RM400,000 and located close to amenities and public transportation are good choices as rental investment property. “These properties will be able to achieve returns of 5% and above as they are products that the mass public can afford. The best option would be those low-density projects with no more than 200 units,” he says. On top of that, the property’s location and developer’s reputation are other factors that investors should take into consideration. “Houses situated in prime areas will continue to attract tenants while properties located in a neighbourhood where there are constant community engagement are also worth paying attention to, as these community activities will create a sense of belonging among residents in the area. One good example is Desa ParkCity,” Un says. Of course, many investors also know among the best markets for rental investment are the student and expatriate markets. 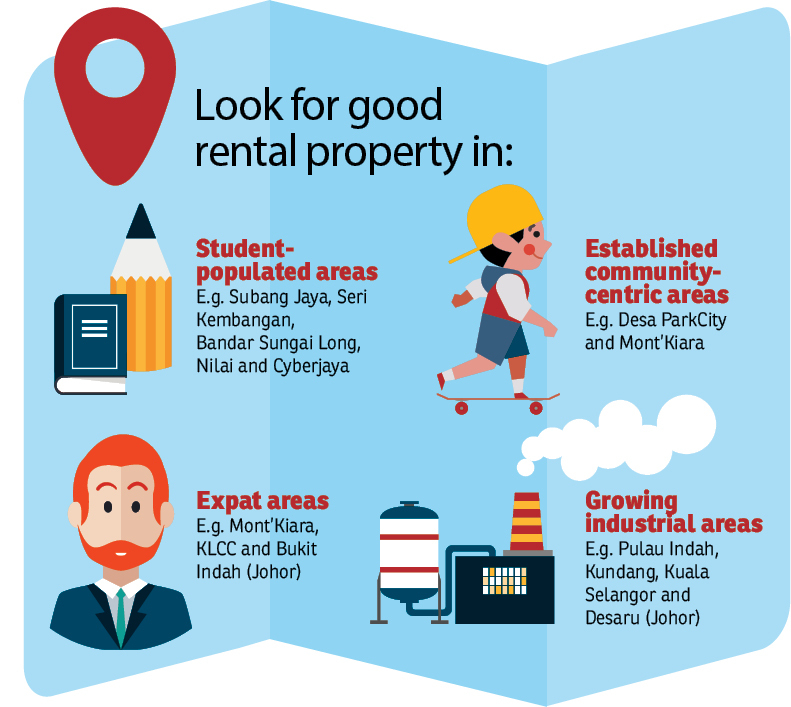 “If you are looking to rent to students, you can look at Subang (Selangor) and other education hubs in the country. Meanwhile, Kuala Lumpur city centre, Mont’Kiara in KL and Bukit Indah in Johor are good if you are targeting expat tenants who are willing to pay a slightly higher rent for a decent house,” says CORE’s Lim. “Areas that are home to a niche growing industry is also worth keeping an eye on. For example, I have invested in a 2-storey terraced house in Desaru, Johor where the oil and gas industry is booming. I bought the house at RM380,000 and am leasing it out at about RM4,000 to RM5,000 per month, which translates into a rental yield of about 12%,” she adds. Lim notes that to get decent capital gains on a rental property, landlords would have to wait for a long period. In the meantime, they have to ensure the property remains in constant good condition and deal with all sorts of tenants. “Many people think it is an easy job to be a landlord and maintain a rental property or address a tenant’s problem. But the fact is, many got so fed up with the challenges of being a landlord that they eventually let go of their property even at a loss. Hence, my suggestion to those who want to get into this business is to be prepared and be aware of the challenges as these are part and parcel of investing in a rental property,” she says. Lim also warns that property investors should not be blinded by greed and avoid buying based on speculation. “A lot of people buy properties based on speculation that prices and rents will go up. When things go wrong, they will suffer financial loss and strain,” she says. Un concurs and reminds investors to keep an eye on the property management of the property that they are buying into. “Upkeep of a property is crucial. Let’s say you are buying a completed stratified property for rent — you must find out the rate for the maintenance fees. If a lot of the owners are not paying, the condition of the property will not be good going forward, thus lowering its appeal to prospective tenants or buyers,” he says. This story first appeared in EdgeProp.my pullout on Dec 15, 2017. Download EdgeProp.my pullout here for free.